Here’s the bad news. Customers will leave you. According to Accenture’s most recent report which surveyed a whopping 24k customers in 33 countries across 11 industries, the estimated cost of customers switching due to poor service is $1.6 trillion dollars. And the sad part is it doesn’t take much for a customer to just get up and go. All it takes is one bad experience and with a click, they're gone. Today's customer service pros need to get ahead of the complaints, to build a customer support - strike that - customer success strategy that give customers awesome service, rapid speed and most importantly feels human. If you’re thinking about customer support and not how your customers can be successful without you having to troubleshoot, you’re already in trouble. Here’s how to get ahead. It’s no secret that engagement is one of the best ways to run interference and get ahead of any complaints that might come up. 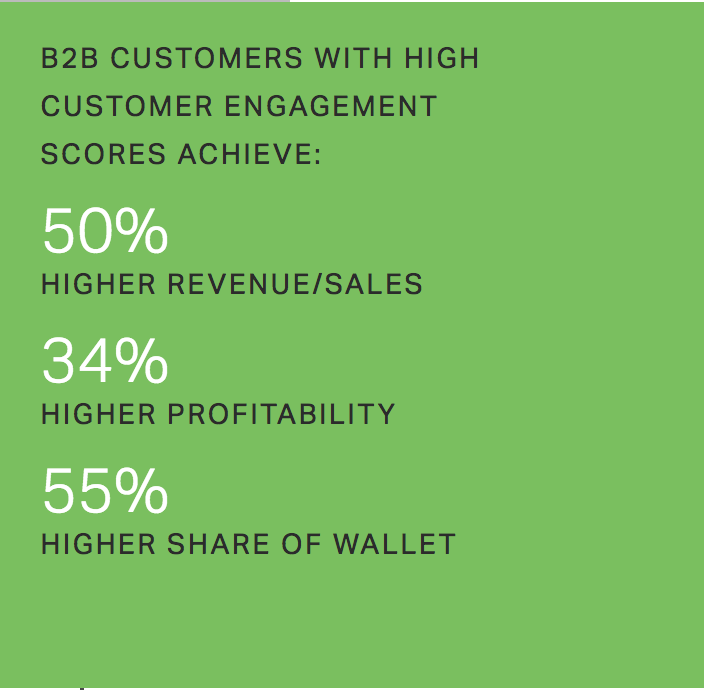 B2B companies with high customer engagement scores 50% higher sales revenues and 34% higher profitability. It pays to engage. Plus, by investing in an active, ongoing relationship with your customers, they'll also feel invested and be more likely to stick with you if anything ever goes off track. Think engagement has to take a long time? 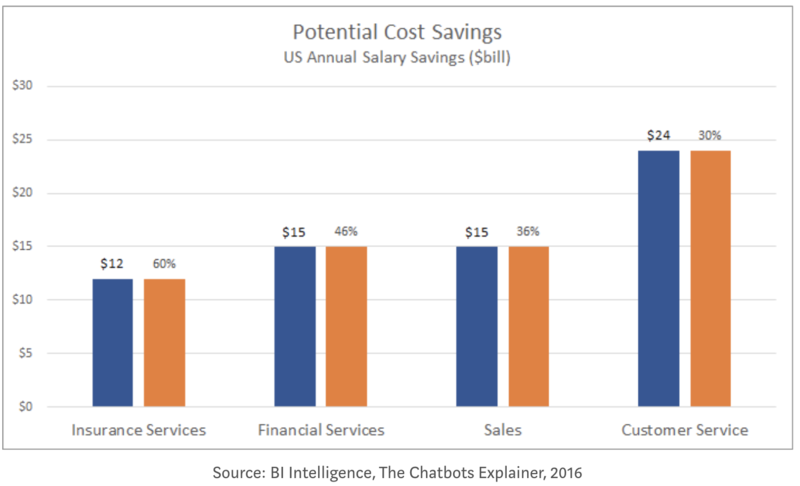 There are ways to better automate your customer success software through text-expanders, smart bots and automated customer service email campaigns. If a bot feels like a bot...well then it’s missing the point. Automation tools are incredibly effective for boosting customer engagement. Chat bots are getting smarter, friendlier and more helpful by the day. (As a major bonus, they've also been shown to reduce customer service costs to the tune of 30%). However, if bots don’t feel warm, personal, invested, smart (in other words, human) they won’t keep your customers happy and invested. Make sure your bot's scripts are humanized and friendly, use screenshots and GIFs to answer an FAQ or make a joke about how 'I'm still just a bot.' And when there's an actual human on live chat, encourage them to have a little fun using emojis, GIFs and visuals (where relevant!) to make the interaction feel less automated. Automation is awesome and everything, but despite all the jaw-dropping advances in AI, there's just no substitute for the real deal. And we’re not the only ones who feel that way. A whopping 83% of customers said if they'd been helped by a live person, it would've impacted their decision to switch providers.Seems like we’re not the only ones who press “0” a hundred times just to speak to someone live. From day one, make it clear there are humans available to help whenever they need it. Provide them with access to your support champions and help desk at the biggest moments in the customer's journey. For example, when they've just reached x number of usages of your product, or are about to finish their free trial, these are great times to have real-live support ready and waiting. Align customer success with your marketing goals to address their biggest wants and fears proactively - and don't forget to plan for the worst (just in case). Foolproof your plan by auditing your customer journey to pinpoint the moments just before they're most likely to bail and make sure a human ALWAYS checks in first so the customer never reaches the point of no return. Jeff Bezos is known for being obsessed with customers, to the point that everyone who works at Amazon is too. A not-so-secret reason why Amazon is taking over the world. Get your team amped up to inform, delight and learn from your customers. Empower your customer happiness pros to take their time, listen more, and treat customers like friends. Whenever there's an opportunity to over-deliver, DO IT. Encourage cross-departmental collaboration and use your internal chat to grab a quick, personalized message from your product head - the customer will know they've been heard where it matters most. Plus, you'll already have it the next time around, so you can have an awesome ready-made reply, and satisfy the customer's need for speed. Your customer base is full of profit-driving gems. Customer feedback should not only be heard, but also tracked. Survey tools like SurveyMonkey and Userlike make it super fast and easy to get a quick star rating from your customers via email or live chat. Centralize this data somewhere all your teams can reach it and apply it to future interactions with customers. A great example is Slack's #beeftweets channel. If you and your teams are strapped for time, make a standing monthly or quarterly meeting to mine through and see what issues spark ideas for how to do things better. Ready to start focusing on customer success over customer support? Make it easy to track, plan and analyze the conversation by using CloudApp’s best customer success tools for free here.